Why Choose REME Industrial Flooring? Since REME Industrial Flooring began their work in the flooring industry we have gained a rather enviable reputation across the United Kingdom for the incredible quality of our flooring products, solutions, and the helpful support available to all our existing and potential clients. Our flooring systems have been developed through years of research and practice on site. All of the flooring products that we use are produced under the strictest quality control procedures, ensuring the consistently high standards of our work. REME provides innovative solutions to the most common issues found in industrial and commercial working environments. We have provided these solutions to a large number of clients across the United Kingdom which has allowed us to accumulate a large list of clients over the years. It is vital that the surface of the existing floor is prepared correctly before applying the final epoxy resin solution. This is to ensure that the maximum amount of adhesion is available tor the solution to be applied. Abrasion is most commonly carried out through the use of our grinding tools such as enclosed steel ball shot blasting and diamond surface grinding. This process is carried out after a thorough visual inspection of the existing floor to ensure that the risk of failure is at a minimum. Epoxy flooring can be used in an extensive range of industrial working environments. They offer superb physical performance when compared to standard flooring such as concrete. 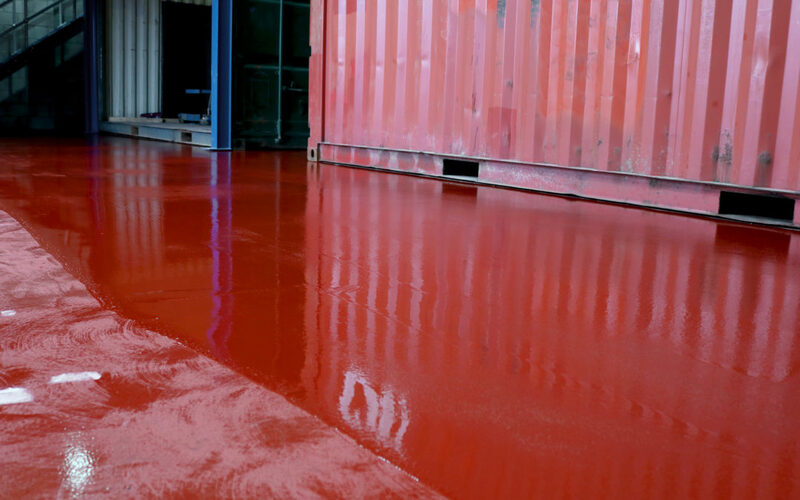 Combined with the existing floor, an epoxy resin system is incredibly durable and can withstand an immensely heavy load on a daily basis, as well as being impact, chemical, and abrasion resistant.. These floor coatings are available in a variety of colours and decorative options. You will be overjoyed with the difference one of our hard wearing floors can have. Should you wish to find out more about epoxy resin flooring or discuss transforming you existing floor then do not hesitate to get in touch with REME Industrial Flooring today.